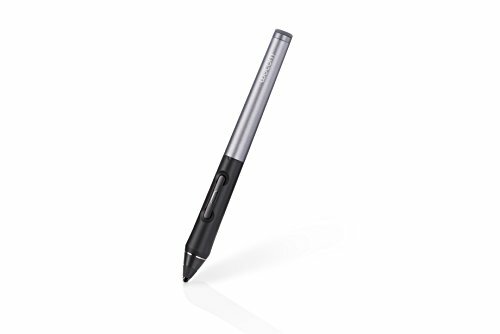 TOKYO and VANCOUVER, Wash., Sept. 4, 2014 /PRNewswire/ -- Building on the success of its predecessor, Wacom's new Intuos Creative Stylus 2 comes with a fine solid tip for increased visibility and intricate detail for sketching, drawing and painting on an iPad. A premium on-the-go solution for creative professionals, it now also offers USB charging options, a flared front to support a variety of holding styles and side-switch for ease of use. This combination of quality design and superior features provides the perfect tool for artists and designers to work anytime and anywhere. Ideal for professionals and dedicated enthusiasts who frequently use iPads in their workflow, the new Intuos Creative Stylus 2 is the essential tool for producing pen and paper-style sketches and concept drawings on an iPad. Offering 2,048 pressure sensitivity levels, the user experience is further enhanced thanks to Bluetooth 4.0 that seamlessly connects the stylus to iPads and Wacom's Cloud services. Available soon, the two new cloud based services offer clipboard functionality (DropZone) that allow for the exchange of files between different devices and a storage service for individual pen, tablet and display settings (ControlRoom). Like all products in the Intuos range, Intuos Creative Stylus 2 is beautifully designed and made using brushed aluminium and a soft touch silicone grip. Available in black and grey, this design tool also boasts an ergonomic shape that makes it is particularly comfortable to use even after numerous hours. Additionally, artists can save time with the two conveniently located shortcut buttons located on the barrel of the pen. A protective carry case holds the stylus, USB charging cable and replacement nibs and make the stylus the ultimate pocket sized companion for today's on-the-go designer. Designed for the iPad 3, iPad 4, mini and Air, the Intuos Creative Stylus 2 is compatible with the top five creative apps including Wacom's Bamboo Paper, SketchBook Pro for iPad (by Autodesk), ArtRage (by Ambient Design), ProCreate (by Savage Interactive) and more. While using the stylus with compatible apps, it becomes highly responsive to light strokes while rejecting unintentional touches made whilst resting palms on the iPad's screen. When connecting the stylus to Bamboo Paper, users will have free access to the 'Creative Pack' including all brushes and writing tools as well as all artists type notebooks with various canvases and papers particularly for drawing and painting. The Intuos Creative Stylus 2 is priced at $79.95 (USD) and will be available in October from the Wacom eStore and select retail locations. TOKYO and VANCOUVER, Wash., Sept. 4, 2014 /PRNewswire/ -- Wacom today announces Bamboo fineline. Crafted with care from high quality materials, fineline is a smart stylus with new "thin tip" technology that makes navigating, writing, sketching and sharing on an iPad feel effortless. Encouraging creative expression and inspiring ideas when working digitally, its features also include pressure sensitivity and palm rejection for increased precision and a more fluid action. With an elegant and premium design, Bamboo Stylus fineline is available in five fresh colors – silver, grey, blue, orange and pink. 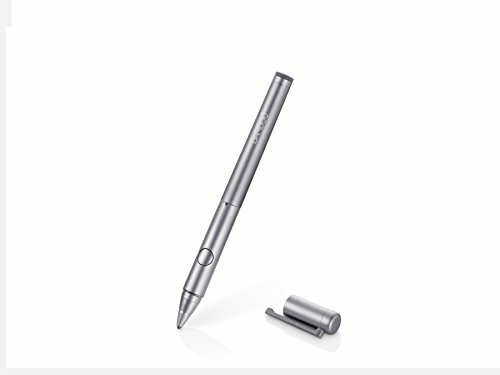 The pressure sensitivity and solid tip of the stylus make it feel completely natural to use. With its 1024 pressure levels, it reacts to the pressure being applied by the user, resulting in lighter or stronger strokes accordingly. This increased precision makes writing and notetaking on an iPad effortless. In addition, the palm rejection feature instantly knows the difference between a hand or the stylus, meaning a user's hand can comfortably rest on the screen while using the pen. The battery, required to establish Bluetooth connection, lasts approximately 26 hours, but can be easily recharged via USB. The user experience is further enhanced thanks to Bluetooth 4.0 that seamlessly connects the stylus to iPads and Wacom's Cloud services such as DropZone, which offers clipboard functionality, allowing files to be exchanged between different devices, and ControlRoom, a storage service for individual pen, tablet and display settings. Both services are now being tested thoroughly and will be available soon. Bamboo Stylus fineline is supported by some leading note taking apps on the market, including Wacom's own Bamboo Paper app, Noteshelf, Notes Plus, INKredible, GoodReader and MyScript. When connected to Bamboo Paper the user is offered free access to the 'fineline Pack' offering an additional pencil and the Writer or Maker type notebooks, perfectly adapted to note taking, ideation and light sketching. Mike Gay, Head of Wacom Consumer Business, describes Wacom's strategy: "Even in this digital age, people use their hands to express thought and ideas. Writing and sketching are still performed to help free minds and encourage creativity. This explains why we continue to develop hardware, software and infrastructures that empower people to do what they want, but be part of the digital lifestyle." Bamboo Stylus fineline will be showcased on the Wacom booth (hall 12, stand 104) at IFA 2014 in Berlin from 5th to 10th September. From today, it will be available to purchase on the Wacom eStore as well as various retailers across the Americas. Bamboo Stylus fineline is priced at $59.95 (USD). TOKYO and VANCOUVER, Wash., Sept. 4, 2014 /PRNewswire/ -- Living in the digital age, computers and all kinds of mobile devices have become such a natural part of daily life, most people do not think about whether to use them, but only how they could be made even more intuitive and comfortable. That is also true for all touchscreen devices, says Mike Gay, Head of Wacom Consumer Business: "There are a lot of navigation functions that feel much easier using a pen instead of your fingers – let alone writing or drawing." Undisputedly a pen is the most natural tool for human beings to express thoughts and ideas. Based on a 30 year legacy of inventing, developing and manufacturing digital pen devices, Wacom now presents 3rd generation Bamboo Stylus solo (for capacitive devices) and Bamboo Stylus duo as a combination with a traditional ball pen for use on capacitive devices and all sorts of paper. Both products carry a new, carbon coated rubber tip that makes sure of a very smooth and near-natural feel while writing, sketching or navigating directly on the screen. Wacom also introduces some fresh colors: "People can choose from six trendy colours: silver and grey for the traditionalists and shiny blue, bright green, sunny orange and girlish pink for the 'fashionistas.'" The newly introduced third generation Bamboo Stylus solo and Bamboo Stylus duo as well as the Bamboo Stylus fineline and Intuos Creative Stylus 2 will be showcased at IFA. All products can be tested at Wacom´s booth (hall 12, stand 104) for the first time. Available in Wacom´s eStore and various retailers as of today the Bamboo Stylus duo is priced at $29.95 (USD), the Bamboo Stylus solo at $19.95 (USD).